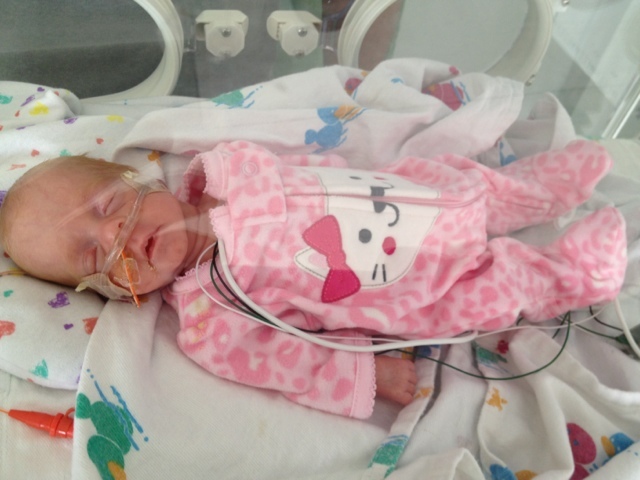 Briella's Journey: Briella is 3 pounds!!! We have really had a great stretch of days! 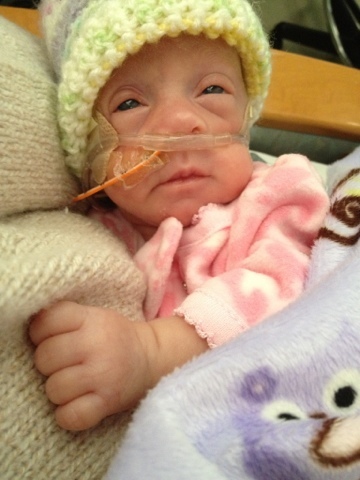 Briella has had her awake moments where she is so alert! Her eyes are doing really well focusing on faces. Yesterday we just stared at each other for 5 minutes or so before it was bedtime again. I am so excited to announce that we have a 3 pound baby!!!!! 3 pounds 1 ounce, 1403 grams! We are so proud of our big girl! She looks so much more healthy now! 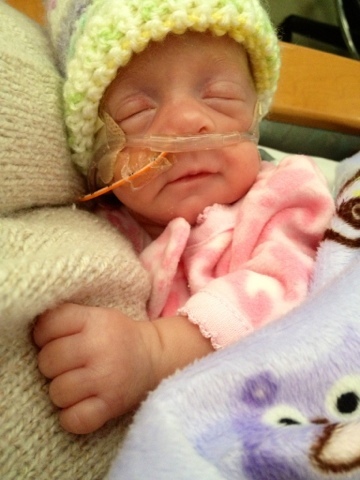 Today she is being moved off of her high flow cannula to just regular cannula. That means there won't be a lot of help keeping her lungs open. She is doing more and more on her own! They have been turning the temperature of her bed down throughout the night and day today, and she is still handling it great! That means she is regulating her body temperature. 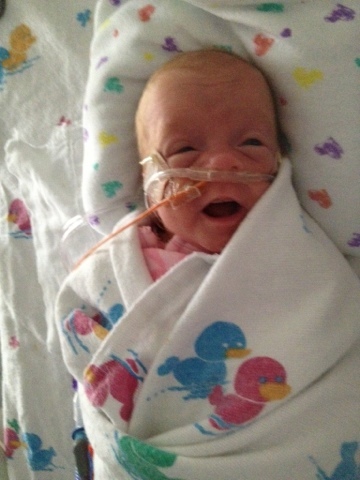 Something that lots of preemies struggle with. She needs to be able to completely regulate it before they move her to a crib. They also won't move her to a crib until she's around 1700 grams, but she's working her way there!! Tonight we have our "Homeward Bound" class!!!! I am so excited to go! 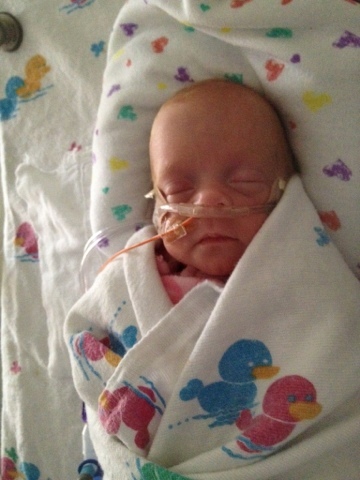 This is just another assurance that she will be coming home. And home is in sight. Maybe not for another couple months, but we will get there. I am excited to be able to hold her whenever I want and kiss her whenever I feel like it. Currently I can only start to hold her before her feeds start, which is every 3 hours. Sister Aubrey is really starting to miss her little sister. She looks at the daily pictures I bring home, but she really is wanting to hold her and just be able to be around her sister. She's waited a long time to become a sister and now she has to wait more. Last night I heard her saying prayers when she was supposed to be asleep. She was praying for Briella and her papa. It was so cute I didn't even scold her for still being awake. Well, I'm going to end this so that I can hold my big girl! 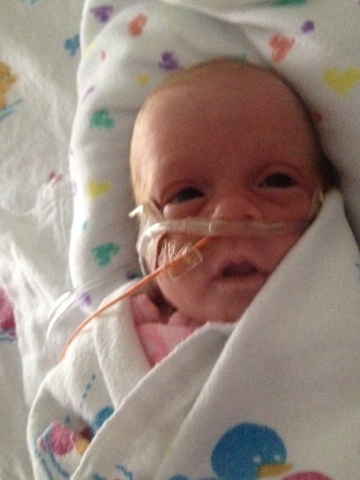 Enjoy these pictures of her awake and alert! Such a sweetie pie! You have been blessed.